The Lanka Sathosa network is growing from strength to strength and there are no plans to privatise it, according to Industry and Commerce Minister Rishad Bathiudeen. 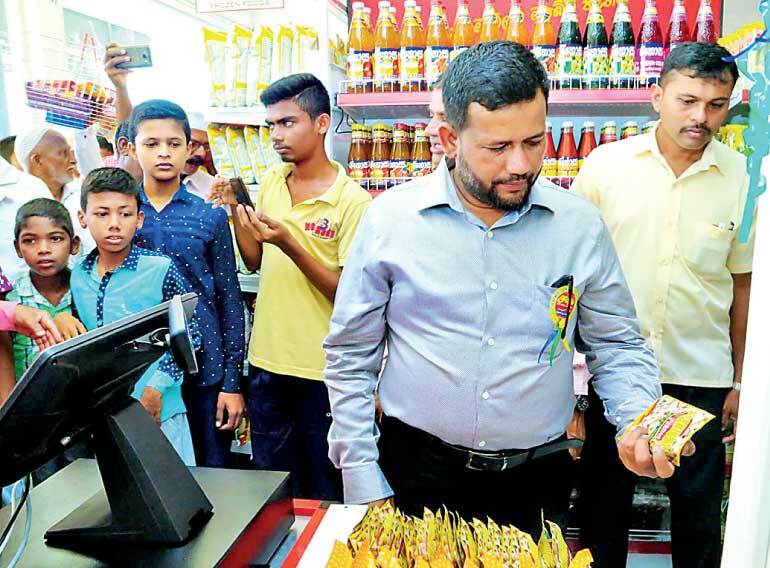 “The Lanka Sathosa expansion program is to strengthen our largest State-owned supermarket system and not to privatise it as falsely claimed by certain individuals,” said Minister of Industry and Commerce Rishad Bathiudeen on 10 June in Kattankudi, Batticaloa. Minister Bathiudeen was speaking at the opening of a 479th branch of Lanka Sathosa in Kathankudy, having opened the 478th branch just two hours before in Kokkadicholai. Lanka Sathosa’s annual sales turnover is now around Rs. 30 billion. Almost 93% of its expenditure in 2016 was spent for capital development projects. It plans to open 8,000 franchise outlets with SME businesses in the coming year while expanding its present 379 branch network to 500 by December 2017.